We’re very excited to unveil Festive Creatures, a brand new pattern designed exclusively for LoveKnitting just in time for Christmas crafting! The brainchild of independent designer Julie Richards, theses adorable animals are absolutely free to LoveKnitting customers for two weeks only. Festive Creatures includes patterns for a jolly little owl, penguin, reindeer and robin, all of which are sure to bring Christmas cheer aplenty to any home. Why not attach a ribbon to create tree decorations, string them up as a decorative garlands or use them to adorn your dining table or mantelpiece? Each Festive Creature is a few inches high and knit up in King Cole Pricewise DK. You will need one ball each of King Cole Pricewise DK in Taupe. Cranberry, Grass, Oyster and Black. You can get download the exclusive pattern for free up until midnight GMT on Wednesday 2nd December. Julie Richards is the designer behind a range of super cute designs, including her bestselling Bunny Rabbit and Ruby Reindeer tea cosies. Her Sleeping Owl Tea Cosy is even a TV star, having featured on the UK smash hit reality-TV series Gogglebox earlier this year. Check out Julie Richards’ other patterns, including festive delights like her Ruby Reindeer and Robin Tea Cosies, Gingerbread House and Santa Outfit Garland. Last updated: November 17th, 2015. What are the sizes/heights of these little cuties? They’re about 4 – 5 inches high each. Aren’t they sweet? Thanks for the gift – they’re adorable! How very kind of you! These are wonderful and inexpensive. Thank you for these creatures – I am knitting them for the children’s ward at my local hospital. Hi Rose, I’m sorry to hear that! Does it work from this page: http://www.loveknitting.com/festive-creatures-knitting-pattern-by-julie-richard If not, if you email info@loveknitting.com they should be able to help. HI Kirstyn, I help run a charity which supports St George’s Hospital neonatal unit. I’d love to be able to pass on this pattern to our supporters (who normally knit blankets and ventilator bonnets for our babies) and ask them to knit some of these for us for Christmas. Do you think the pattern designer would mind? Can the long waistcoat No. 189 be knitted in 100% acrylic? 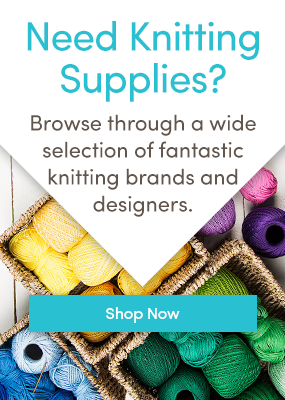 Do you sell yarn other than wool? I am allergic to wool but I love your patterns. We sell all manner of yarns! We have a large range of acrylic yarns if that’s what you prefer!